The good thing about making your own pizza is that you can add whatever toppings you like and bake the dough however crispy you want. 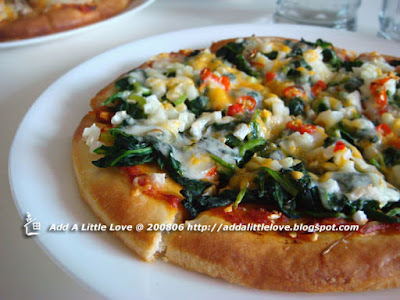 Shrimp Onion Pizza: mozzarella cheese, cheddar cheese, pizza sauce, spinach, onions, fresh chili. 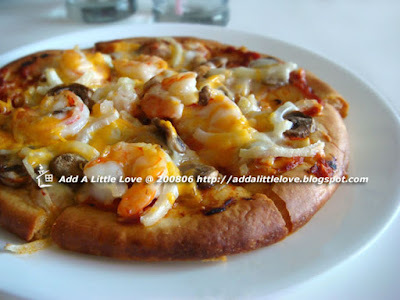 Spinach Chili Pizza: mozzarella cheese, cheddar cheese, pizza sauce, shrimps, mushroom, and onions. 1. 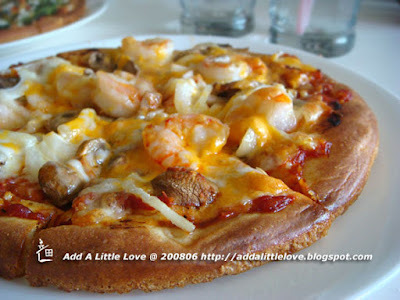 Drizzle some oil on the baking pan , and sprinkle a pinch of salt before putting on the pizza dough. A little bit Oil makes the dough crispier, and a pinch of salt stimulates the taste buds before you even bite the pizza. 2. 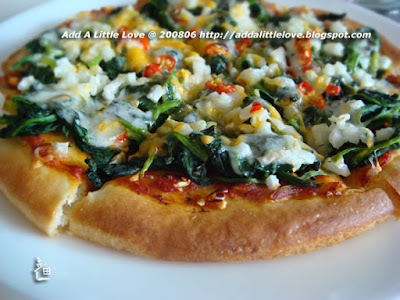 Bake the dough for 15-20 minutes, before putting on any toppings. Nice pizza. The crust got a bit over rising though. Personally I like thin crust with new york style. Anyway, good cook! Nice to see more posts. Gald to return. I actually did add a little bit baking powder into the dough to see how it would turn out, since most of the pizza dough sold in grocery stores has baking powder as an ingredient. So now I know that there is no need for the baking powder if the pizza dough is freshly made. You even can tell this!!! !